With the fragmented memories of their mate Ian and a musical selection that evokes the heady rush of 1989 – when house music went mainstream and a nation began to pretend it had been at illegal raves – In Bed with My Brother attempt to recollect the excitement of 'the last great youth movement'. House music became a counter-cultural force in the late 1980s, provoking a government backlash, and this clown trio chase both its highs and lows. The recollections of Ian – ranging across 'brown biscuits', his abortive career in music, football hooliganism and the hedonist weekends – suggest a series of physical theatre routines. The audience are taught a couple of acid house moves: a flashing projection rattles out the context of the period and the ferocious beat of the revolution forces compulsive dancing. By the end, when the audience end up on the stage, We Are Ian has made the case for house music's power to unite. 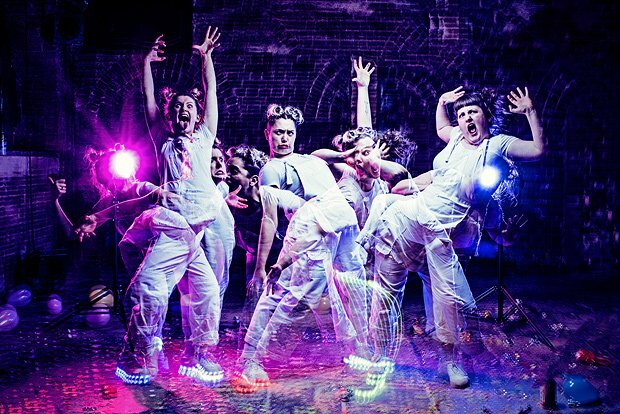 While their physical theatre chops are raw, In Bed with My Brother have moments of brilliance: an extended groove sees them descend into exhaustion, capturing the irony of a movement that mocked mechanistic society by simply dancing to the machine's beat. The anxiety behind the desire, the fatalism imbedded in the fun: the finale might be a feelgood party, but this is a requiem for a dream, for a time when youth culture could frighten the government by the way it danced. Pleasance Dome, until 28 Aug, 10pm, £8–£10.50 (£7–£9.50).